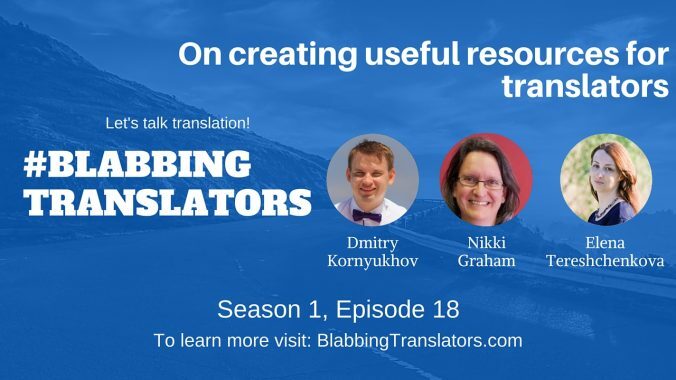 Welcome to Season 1, Episode 18 of the Blabbing Translators show! Last Wednesday our guest was Nikki Graham, a proofeditor and Spanish to English translator and reviser who lives in the tourist town of Bournemouth on the south coast of England. I’m sure many of you know Nikki for her amazing resource pages for translators ranging from an extensive blogroll to an impressive list of MA programs. By the way, we’re also on iTunes! Don’t forget to subscribe and leave us a review! Don’t forget to share this post with your friends and colleagues and see you next week!